The negative gearing and rental assistance scam! Another failure of government logic, from both the LNP and Labor. If you are a mortgagee and trying to pay off your homes mortgage you do not get rent assistance from the government. Which generally means that if you are a homeowner with a mortgage, receiving social security, you will be unable to pay your mortgage and have to sell your house! Further contributing to the problems of a lack of rental properties in Australia. While the banks and the negative-gearing investors will further benefit from your poverty and property. If a social security recipient tries to get someone in to rent and help with their mortgage it counts as income and as such will reduce the amount of social security that person receives, if the rent received is more than the interest paid on their loan. is a single person without children who lives in their parent’s home and is aged under 25 years (or under 21 years if on a Disability Support Pension). Special rules also apply to couples who do not live together, for anyone who has to live away from their usual home in order to give or receive care, and single people sharing accommodation). However, if you have an investment property (or three) and you have tenants who receive social security, then the government will give your tenant rent assistance to help pay off your investment. As the majority of people on social security rent, rental assistance is in effect indirectly going to to house investors and people who are negative gearing. So not only do housing investors get massive tax deductions on their investment properties, they also get government assistance to ensure the rents on their investments are being paid. 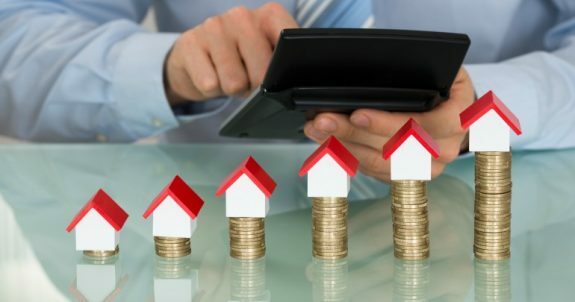 Generally people who have investment properties already have a home, as they need to use their house as collateral to be able to buy investment properties. Rent assistance varies between $80 and $135 per person depending on their circumstances. As the government does not release budget figure solely for the cost of rent assistance, I will make an estimate that ~80 – 90% of the people on social security receive some form of rent assistance, at ~$100 per person. I will exclude pensioners to simplify matters. As the LNP refuses to provide budgetary figures for the breakdown of costs for Youth Allowance, Austudy and Abstudy a little more estimation from demographic data is required. With around 800,000 people being unemployed, 1.2 million underemployed and with approximately another 1 million receiving some for assistance for study we are looking at roughly 2.5 million people receiving some form of rental assistance. This comes to around $12 Billion dollars per year of rent assistance that goes directly to people with investment – rental – properties. Combine this with the budget impact of negative gearing costing $2+ billion this year alone. This equate to over $14 billion in tax subsidies and indirect payments from the government to people who own investment properties and already own their own home! We know on average that our politician have ~ 2 negatively geared investment properties each! These government policies clearly benefit people who already have a home and investment properties – portfolios – our politicians, the well-off and the rich! It is blatantly obvious that our politicians can no longer be trusted to make any decisions in the best interests of all Australians. Our politicians are inherently conflicted by their greed, political donations – bribes – and their power. With the majority of them owning investment properties none of this unequal, biased, legislation is likely to change either. In particular the new programs and specification set by the recent LNP government will only further entrench poverty and inequality, increase homelessness and create a two-tiered society of haves and have-nots – landlords and serfs. The majority of the new $4.3 billion allocated for the rental affordability scheme will go to private investors. Even though the high costs of private rentals have poor outcomes, particularly for pensioners. (Pension Review Report; Budget 2017 charts new social and affordable housing agenda). Private investors will reap the majority of government spending on housing affordability program. A new National Housing and Homelessness Agreement (NHHA) to deliver more affordable housing and build more homes, only meets one out of four benchmarks set. Federal Budget 2017: Is this the budget that forgot renters? Wow! Thank you for exposing this scam, even though the extent of it has to be guesstimated. But the logic of the article is clear. It disturbs me that some renters can’t think past their noses. This is just one of the many ways of syphoning off public money to the tory voters who in this case are landlords charging far too much for rent and the government picking up the tab. Yet the LNP Uber lords (and thus far, Labor) would have the public believe any spending on unemployed or other vulnerable people is a government “expense” depleting the so-called budget surplus. When, in fact, like any government spending adds to the economy. Unless there is another “Tampa”, it is likely Labor will win the impending federal election. What is Labor offering? A review. To what end? A paltry increase for welfare recipients which will not provide a way out of the poverty cycle, just more trickle up benefits for the private sector. Rent assistance is paid to the tenant and not the land lord – the tenant uses and abuses this money. My husband and I worked hard 7 days and week to buy an investment property. We have had on three separate occasions where the rent fell in arrears because they chose to spend their rent assistance on video games takeaways and bigger TVs. Left the property in a shambles that took three big skips to remove the rubbish. And repairs and painting. We lose rent while repairs are carried out. And interest rates were 17-19% lucky to meet mortgage payments. We now have two investment properties and are self funded retirees. We are not a burden on the government in fact we have to pay tax on our English pensions as they are classed as income. Honestly leave negative gearing alone. If it is not broken why fix it. If we sold one we would pay a hefty capital gain and helps the government. It is foreign buyers and realestate agents that encourage this created the housing shortage as Chinese are buy up any and everything. That’s a sweeping statement. All rent assistance beneficiaries waste their money? If tenants are not paying rent, they are evicted. Your tales of vandalous tenants are unfortunate, however the majority of tenants pay their rent and look after their homes. I have a background in public housing and understand fully the management of rental properties. The majority of tenants, whether they are public or private are responsible people. Even the majority of landlords are responsible people. Therefore, do we condemn the unemployed, disabled and elderly to the streets? Because you have a personal anecdote regarding your tenants? The rent you receive from tenants who receive rent assistance is government money. Interest has been low for decades, you still complaining about events from last century? Regina, if you sold the property and paid a heap of tax, wouldn’t that be Capital Gains Tax? Boy am i stupid ….. and obviously a total waste of space, an oxygen thief, a bludger, a drain on the valuable resources of this country who should immediately report to the local Soylent Green plant for processing…. As an aged pensioner renting in the private market, i receive rent assistance as a component of my pension. Since going on the pension 3 yrs ago at age 67, i have moved home from Sydney to rural NSW and now to regional Qld to find affordable rental accommodation. Without this money life would be much harder. Whilst I have never trashed a rental, have excellent realtor references, i didnt realise that a portion of the rent i pay goes to greedy or otherwise and sometimes foreign property investors …. guess as a lowlife “leaner” I’m doing my bit to help some hardworking negatively geared stalwart “lifter” contribute to our national prosperity. If there is rent assistance then it should be paid directly to the landlord as a part payment. The land lord signs off on that. I don’t wish to generalise as genuine rent assistance recipient are definitely entitled to this payment – I don’t believe it to be wholely government money as in good times these recipients have paid their fare share of tax. It’s tax payers money. I would never rent my house to rent assisted person ever again unless that portion is paid directly to my account. State housing should be upped. Queen Ryan, could i recommend Indue as a good investment? By the way, my landlords have never ‘signed off’ on my rent assistance. I provide Centrelink with a copy of my lease. As I said our English pensions and one English Company super which has to be declared as income which i find insulting as we cannot claim an Aussie pension due to asset values. We don’t even qualify for a commonweal health care card and we have our share of aging health issues. You live in a Capitalist economy where you are profiting from private rental AND the government should subsidise you? I do agree with increasing public housing, which is a state funded system, not federal. Perhaps you could write to your local state politician instead of whinging here at AIMN about how hard it is making a living from your investments. Many writers and contributors here, depend solely upon a pension and nothing else, due to life’s many challenges, not because they deliberately set out to wind up in poverty. Do you understand the cliche, “having your cake and eating it too”? I am all for spreading the wealth and Happy to pay my fair share of tax and have great empathy for the disadvantage itvis why at the moment I have bridging refugees in my property paying minimal rent. I gave them a break and they are looking after my property well. You quote how much is indirectly helping investors. Have you got the figure for how much the government collects in the sales revenue when there is a capital gain. It would definitely outweigh that amount and some. Please indicate exactly what in the article is “false”. I would love to know, because facts are important. I won’t comment on your apparent ignorance of government finances, what should be taxable, and what should be the cutoff of asset value when you lose the age pension. You are obviously very well off compared to at least half the Australian population, but whinge nevertheless about proposals to reduce negative gearing (which again you don’t seem to know anything about. Did you hear about “grandfathering”?). I would suggest you inform yourself better. Perhaps a chat to your financial adviser (I’m sure you have one) and to your tax agent. Follow that up with reading about government finances, which in this day and age are complicated. Rent assistance is paid to the renter, not the landlord.To suggest that the property owner gets any more than the market value of the rent is wrong. An argument twisted to suit a spurious ideology.